Since the advent of the internet, large publishers have increasingly locked electronically available research behind paywalls while costs rise at alarming rates. In many cases, researchers not only pay to publish their research, but then universities have to pay to access the same research that their own faculty and staff created at the institution. This restriction of access to research and knowledge stifles innovation and increases costs for students. In 2013 California State University, Northridge became the first campus in the CSU system to sign the Berlin Declaration, which “calls for open access to knowledge in the humanities and sciences, recognizing that the Internet has changed the way knowledge and information is disseminated” ( CSUN Today ). CSUN and the Oviatt Library value Open Access, but often it is a misunderstood concept. 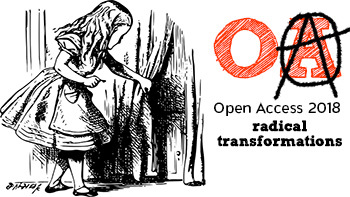 A resource on the International Open Access Week website explains that “Open Access is a growing international movement that uses the Internet to throw open the locked doors that once hid knowledge. 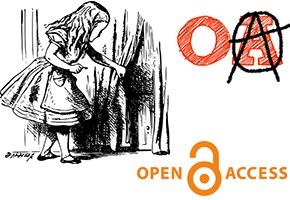 Encouraging the unrestricted sharing of research results with everyone, the Open Access movement is gaining ever more momentum around the world as research funders and policy makers put their weight behind it.” ( We Support Open Access) And it is a truly international effort — institutions and universities around the world progressively continue to join the ranks of those who support the OA movement. The 5th annual Open Access event focuses on open access in research and publication in the humanities. Keynote speaker, Eileen Joy, Director of punctum books will discuss the drive to bring more open access publishing channels to the humanities, the obstacles faculty face, and how they can and should overcome them. In addition, CSUN’s Scott Kleinman, recipient of a Mellon Foundation grant for his WhatEvery1Says Project (WE1S) will discuss the paradox of funding for open access humanities projects that must use proprietary restricted data. It is with heavy hearts that we join the Manders family in remembering the life and legacy of CSUN alum Gus Manders, who passed away at the age of 97. We can't get enough of #NationalLibraryWeek! Meet Sam, Student Web Assistant III - one of the most avid readers we know and love! What is your job at the Library? I am a Web Assistant III, providing full-stack web development support on a wide-array of projects. I specialize in back-end dynamic scripting, responsive design, and web accessibility. I love my job, and being able to learn under talented fellow programmers allows me to continue expanding my tool belt and skill set. One of my favorite books is "From the Mixed-Up Files of Mrs. Basil E. Frankweiler" by E. L. Konigsburg! I am constantly inspired by Canadian computer scientist Brian Kernighan. His developmental work on Unix and semantic programming language structure is work that I largely admire and respect. Anywhere I can get my hands on a good book!